The hours were agreed under the Croke Park agreement. THERE ARE WARNINGS of major disruptions for schools and students after teachers voted to stop working extra hours yesterday. ASTI members voted overwhelmingly to withdraw from the 33 Croke Park hours by 68.5% to 31.5%. The hours came into place in 2011. Croke Park hours are additional working hours that were brought in by the Croke Park and subsequently Haddington Road agreement. We are concerned at the implications for individual teachers, and the implications for major disruption for students and schools from September if the ASTI proceeds with the proposed action. A spokesperson for the ASTI said that the hours don’t involve students and are hours for work done outside of school time and outside of classroom time, adding that pulling out of these hours “won’t affect students’ learning” and “won’t force schools to close”. The Croke Park hours are highly prescriptive and unproductive. Teachers believe that these hours are among the least productive tasks undertaken in schools and that they do not improve teaching and learning. Schools can function normally without the Croke Park hours, just as they did prior to their introduction. 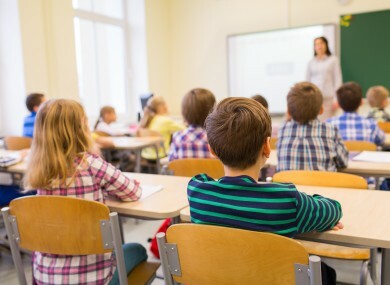 The spokesperson pointed out that under regulations, teachers have to do a number of other duties as part of their work anyway, including parent-teacher meetings and lesson planning. She said that the situation was “exacerbated by cutbacks during austerity years” and then the introduction of Croke Park hours. We regret that the ASTI has not as of yet accepted an invitation to meet with the Department to discuss their issues of concern, however this invitation remains open. The ASTI has 17,500 members nationwide. The ballot turnout was 76%. It is likely that the move will kick into place in September, but the ASTI’s standing committee will meet today to consider the outcome. Additional reporting by Cliódhna Russell. Email “Warnings of 'major disruption' to schools as teachers vote to stop working 33 extra hours”. Feedback on “Warnings of 'major disruption' to schools as teachers vote to stop working 33 extra hours”.